Happy Memorial Day Folks! We hope everyone had an enjoyable weekend. We were lucky enough to have friends visiting and even got out on a pontoon boat Saturday afternoon. It was nice to take a break from the farm and enjoy such a beautiful day. Allison has been here two weeks and it’s been great to have her back on the farm. 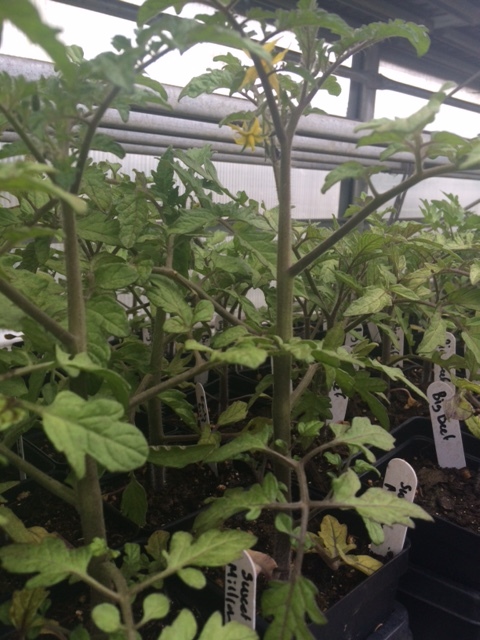 We are finally getting some of our bigger spring tasks finished like our huge onion planting, the tomato greenhouse prepped and planted, the beds manured and shaped, and more! 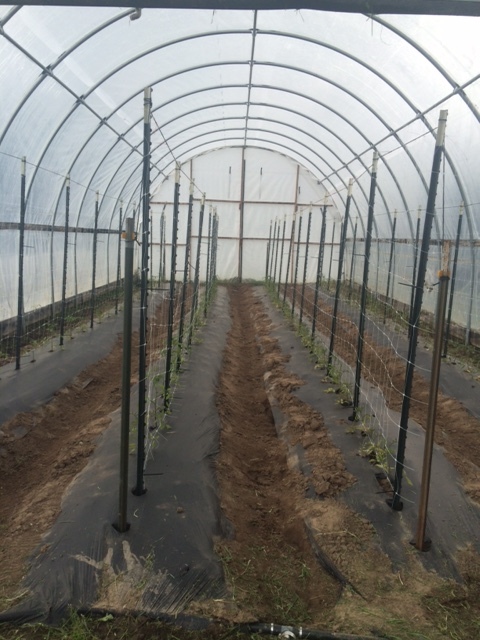 This week we will be working on our caterpillar tunnels which will house tomatoes, peppers, eggplant, and flowers. We imagine these will take a little time to figure out how to build, but will be so valuable with our variable weather. Last week we attended all of our markets. Brendan had a great time in Minocqua and loved seeing all of our customers again. Allison attended critterfest which is the “kick off” for the Hodag Farmers Market. Next week the Hodag Farmers Market will be officially starting and we will be there every Saturday through the growing season. We sold a ton of our transplants this week! 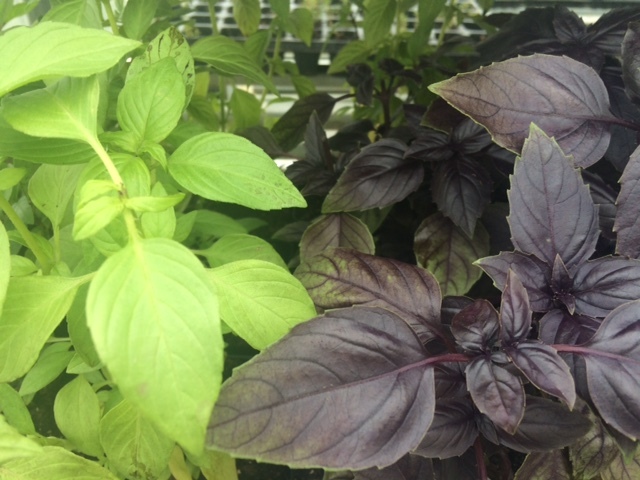 Tomatoes and Basil are the popular ones so we encourage folks to buy them this week so you aren’t disappointed. Finally in other news we are taking the leap and raising 25 broiler chickens for ourselves this summer and they arrive this week. 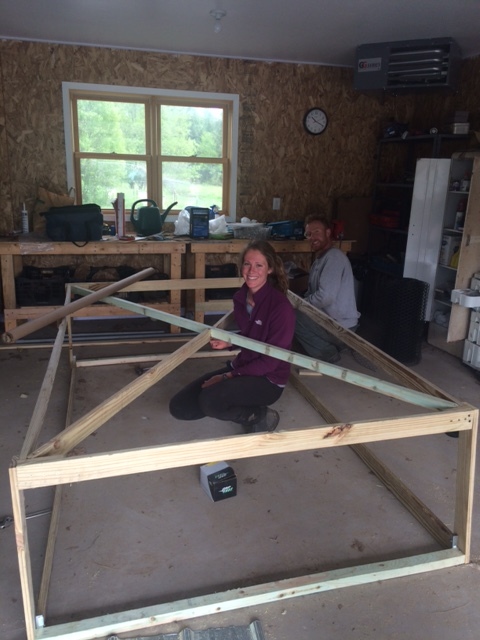 We are excited to learn something new and become even more self sufficient on our little farm. If all goes well we may sell them someday!